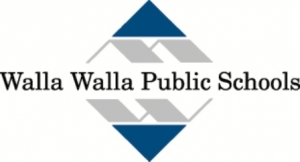 WALLA WALLA, Washington — Following weeks of study and input, school board members unanimously approved the Transportation/School Time Efficiency proposal which will save more than $400,000 a year in transportation costs by adjusting and aligning school start times. All elementary schools will start at approximately 7:50 to 8 a.m. as will 1st period at Wa-Hi. Middle Schools and 2nd period Wa-Hi will begin at 8:50 a.m. Superintendent Wade Smith conducted a Communication and Engagement Plan over the past several weeks to elicit feedback. He met with staff to discuss the proposal. The district also sent home a fact sheet to parents and created a webpage on the district’s site which housed a public survey. Superintendent Smith reviewed data from the study which included nearly 1000 completed surveys.